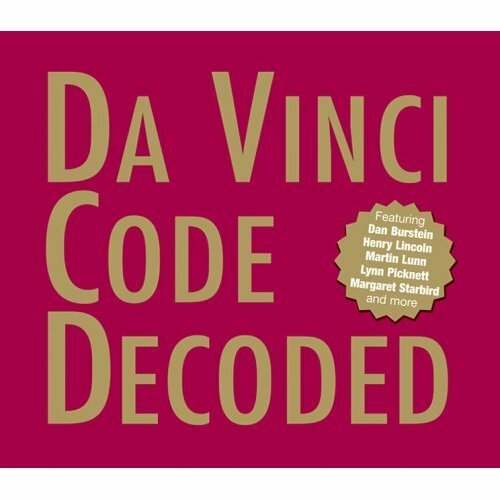 This deluxe 2 CD audiobook brings Lynn Picknett, Clive Prince, Henry Lincoln, Margaret Starbird, Dan Burnstein, Karen Ralls, and Martin Lunn (author of the original Da Vinci Code Decoded) together to discuss everything from the Priory of Sion to Rennes-le-Chateau, Rosslyn Chapel to Mary Magdalene. The definitive audiobook documentary exploration of Dan Brown's thrilling novel The Da Vinci Code answers the questions that everyone is asking! What exactly was Leonardo da Vinci trying to tell us in his coded paintings? What is the secret of the mysterious church at Rennes-le-Chateau? What secret did the real-life Sauniere know that threatened the Church? The Da Vinci Code craze is far from over, with the hardcover and illustrated hardcover still topping bestseller lists, the mass market paperback yet to come, a major movie starring Tom Hanks in 2006, not to mention the huge interest in religious history inspired by The Passion of The Christ. This audiobook presentation is for the true fan seeking a thorough examination of the book that has become a cultural phenomenon.